So far kevin has created 16 blog entries. 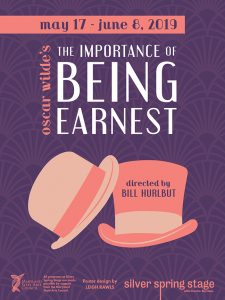 One of the cleverest comedies by one of the greatest writers in the English language, The Importance of Being Earnest has delighted audiences since its premiere in 1885. Wilde’s scintillating, hilarious work introduces us to Jack and Algernon, charming bachelors who are each living a double life, aided by a fictional alter ego called “Ernest.” But the two fall truly in love with a pair of proper young women, Gwendolen and Cecily – both of whom are partial to men named Ernest. Will Jack and Algy be able to bring an end to the charade and convince the formidable Lady Bracknell that they are suitable candidates for marriage? 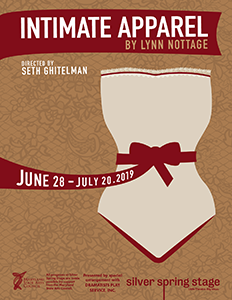 Wicked wit and dead-on social satire are wrapped in a confection of dual identities, matrimonial matters, and the provenance of a particular handbag. Save time and buy your tickets online. In the Puritan world of Massachusetts in 1692, Abigail Williams and her cohort of girlfriends cover a multitude of their own sins by playing with, then being accused of, witchcraft. The action is largely driven by Abigail’s previous affair with the married John Proctor, and John and his wife’s subsequent efforts to retain their good reputation. Like a disease, the accusations of witchcraft and the web of lies spread to include other members of the community and bring down dozens of the best-regarded citizens of Salem as the town is rendered dysfunctional through mass arrests, property grabs, religious-political power-plays, hangings, and fear. 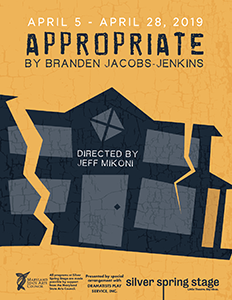 A brilliant play, beautifully fashioned, sometimes wacky and sometimes sad, combines hilarity, poignancy, outrageousness, and tragedy. A songwriter with visions of glory toils by day as a zookeeper and by night sings at piano bars in Queens, New York, where he lives with his wife. Meanwhile, downstairs lives his mistress. Chaos ensues on one day when the Pope makes his first visit to the city; the songwriter’s soldier son Ronny goes AWOL; an old school chum, now a successful Hollywood producer, shows up with his starlet girlfriend in tow; and a group of nuns all descend on the apartment in this enchanting, zany farce.